For as long as I can remember, there’s news almost daily about the tragic death(s) caused by an impaired driver. While the rate of fatal deaths due to DUI has actually been decreasing sharply over the last two decades, today’s drivers have seemingly chosen a new deadly form of DUI: Driving While Intexticated. 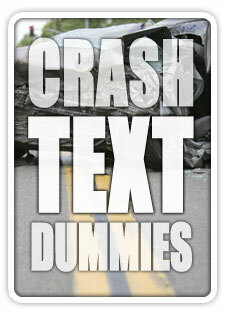 Ironic in their nomenclature, smart phones are increasingly making drivers incredibly stupid. For the first time in history, drivers everywhere are making the conscious choice to drive several seconds at a time with their head down. This is no LOL matter. Compared to a 12% decrease of reaction time for buzzed drivers driving at the legal blood-alcohol limit, the reaction time of drivers texting while driving decreases by a whopping 35%. Intexticated drivers are almost 3 times slower to react that intoxicated drivers. About 80% of drivers use their cell phones when on the road, and 60% of novice drivers between the ages of 18-24 own up to pounding away on an iPhone or Android keyboard while behind the wheel. 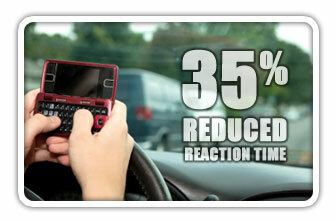 A similar strategy might have to be employed to thwart the increasing problems texting and driving is causing. The public perception campaign is already under way. Just search ‘Texting and Driving’ on Youtube and you’ll see what I mean. Though punishment has increased for those who choose to drive phone-in-hand, the common discipline is a slap on the wrist or an inexpensive citation. Will it take stiffer punishment to get drivers to leave the phone alone? Consider a common strategy used by high school teachers dealing with cell phones in the classroom – “Use it and Lose it”. Though an officer confiscating a phone because he saw you texting may seem overboard, I guarantee we’d see a lot more hands on 10 and 2 instead of on the QWERTY.